H+R has over 30 years’ experience in building investigation services throughout Surrey and the UK, and provides remedial specification and in-house consultancy services for modern, older and historic buildings affected by damp penetration issues and many other building related problems. We are an independent team of building material defect surveyors and specialist consultants, and can call on the expertise of other authoritative sources including academic experts and specialist reference laboratories to get the most effective service and advice for our clients. In that way, we are perfectly placed to provide the best co-ordinated information and ‘holistic’ advice on damp and decay issues affecting buildings. 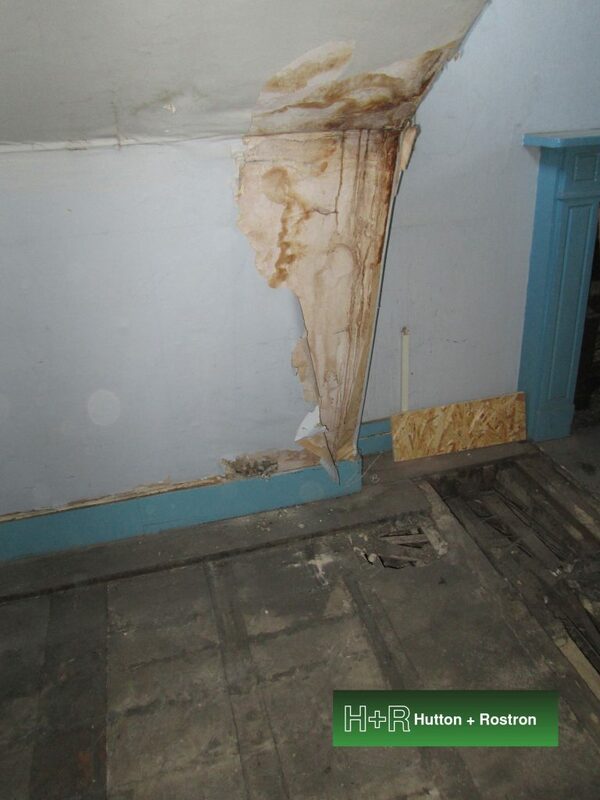 Initially, our team will work to identify all current or latent building defects that allow water penetration and ‘moisture reservoirs’ where water has accumulated in building materials, providing the conditions for damage to finishes or services and for damp or decay during and after refurbishment. Electrical and gravimetrical techniques are used to produce moisture profiles through affected structures to provide information on hygroscopic and gravimetric moisture content on sample analysis and also to ascertain the quantity of moisture in the masonry masses and its source in relation to rising and penetrating damp. The moisture profile allows assessment of any drying down period together with remedial advice to the design team on detailing of final finishes in specific locations, to allow continuing drying after refurbishment and avoiding potentially expensive, destructive and inappropriate chemical remedial damp proofing treatments and proprietary tanking systems. The results of H+R’s comprehensive damp penetration investigations are produced as CAD overlays, tables and schedules of defects together with remedial recommendations for the most cost-effective works for controlling damp problems during and after refurbishment. Cost-effective accelerated drying measures can also be specified and managed if significant ‘moisture reservoirs’ are detected or if significant water penetration occurs during the refurbishment, e.g. due to defective temporary roofs and roof drainage. In this way, unnecessary programme or cost overruns can be avoided. H+R’s specialist Surrey based team will investigate existing original and subsequent damp proof courses (DPCs) for type, condition and performance. The DPCs are ‘proved’ and certified for the building warranty provider. H+R’s input in this area can result in very significant savings against provisional sums for injected damp proof courses and other ‘damp proofing’ treatments. Based on our survey, remedial advice and consultancy can be provided to support the design team, so as to avoid risks of interstitial and cold bridge condensation. Advice will be given on the provision of insulation and ventilation pathways in accordance with Building Regulations Parts F and L sensitive to a listed structure, where appropriate. Condensation risk analysis according to British Standard 5250 and assessment of exposure to wind driven rain according to British Standard 5628 are undertaken. At H+R, we prefer to identify root causes of damp penetration and condensation problems instead of simply treating the symptoms, and we avoid emphasising product led solutions. Our involvement in a project generates significant savings in provisional sums set aside for chemical treatments. We are very pragmatic in our approach and are highly regarded by building warranty providers and as NHBC and Premier as well as insurers and loss adjusters.